If you’re like me, you’ve tried about a million and one different ways to have your kids pitch and select stories. Our current method, which generally works pretty well, is to have the staff submit story ideas to a Google form, then to sort the form by sections and let each pair of section editors determine which stories will be in each print issue of the magazine. 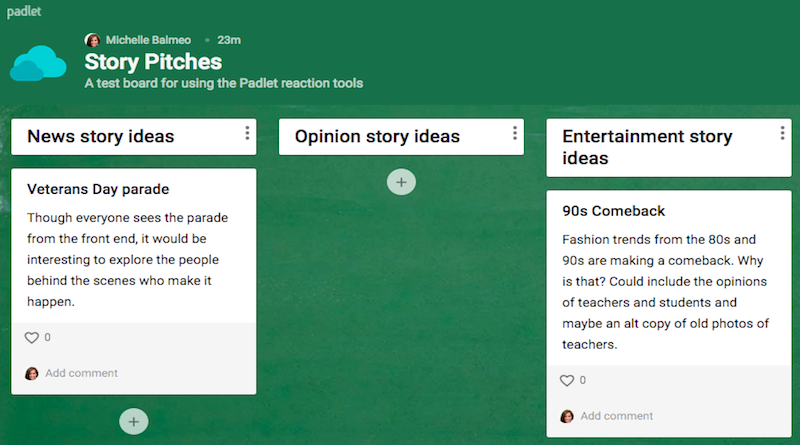 I recently got a message from online collaboration tool Padlet, though, that got me thinking of trying a new way to have kids pitch and give input on ideas. They just released a feature called “reactions” that allows users to favorite, up and downvote, and rate a post on the board. For those who have never used Padlet, it’s basically like a bulletin board that can endlessly scroll. You create the board, share the link, then anyone who has the link (or you can make it password-protected or public) can add to the bulletin board. That’s an oversimplified explanation of a tool that has a lot of features to choose from, but hopefully you get the idea. As for using it to generate story ideas, I’d like to try having staffers pitch ideas to the board, then let everyone else go in and favorite the ones they’re most interested in. 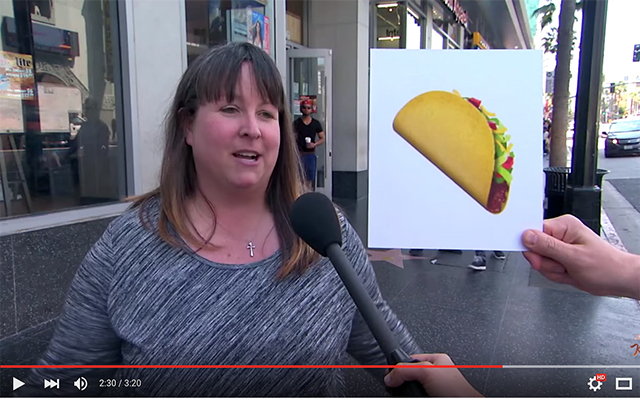 The hope is that it’s a quick way for the staff to give feedback and the editors to get feedback about their pitches. Since you can also allow users to comment, staff writers could claim stories right on the pitch itself, further expediting the process. I thought about experimenting with upvoting, but I couldn’t find a way to just allow upvoting without downvoting (since I think it’s probably unnecessarily cruel for a kid to watch their pitch get downvoted). Same thing with ratings. However, allowing better pitches to rack up favorites seems, somehow, better. I’ll update this post after we try it, but for now I created a test padlet to experiment with. Give it a try and let me know what you think.